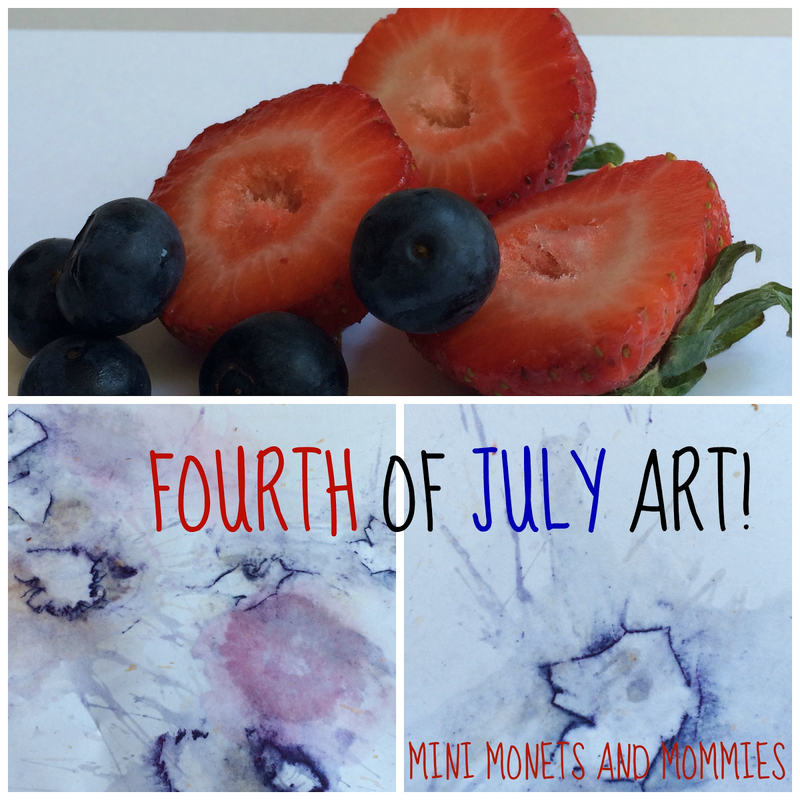 Get the fireworks started before the Fourth of July with an explosive kids’ art activity! I’ve said this before, but I’m not a fan of using food for art (unless you get to eat it afterwards). But, at the same time food-based art is a safer way to create for young children who are very much into putting everything in their mouths. To pacify my own get up on a soapbox self, I like to do a swap up in which I donate a canned or boxed item to the food bank box at my grocery store in exchange for wasting (in this case a handful of blueberries). It’s also a good lesson or my son on helping others. I knew that I wanted to use red and blue berries to create patriotic art, but wasn’t entirely sure how. After starring at the berries on some white paper, my 12-year-old son (who is apparently already bored of his summer vacation) started squishing them. So, now we have exploding berry firework art. 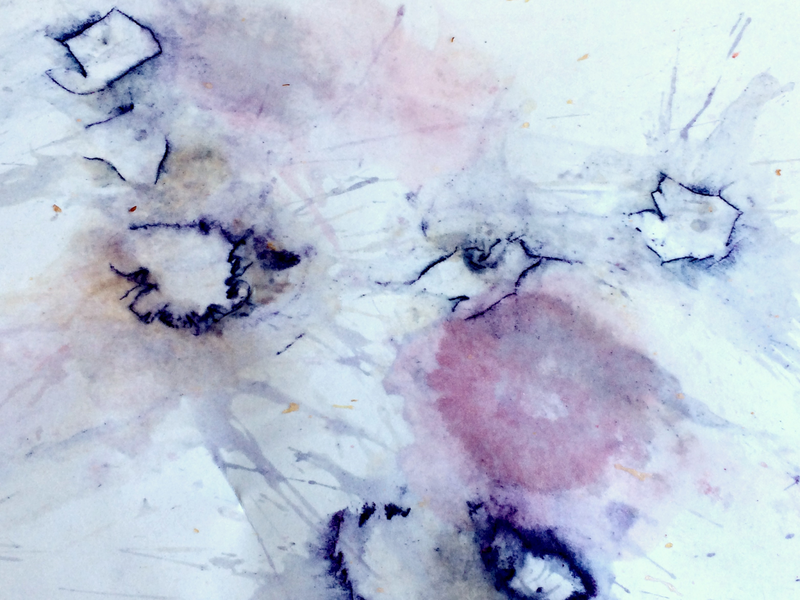 The result: An abstract almost watercolor-like Jackson Pollock-esque artwork! 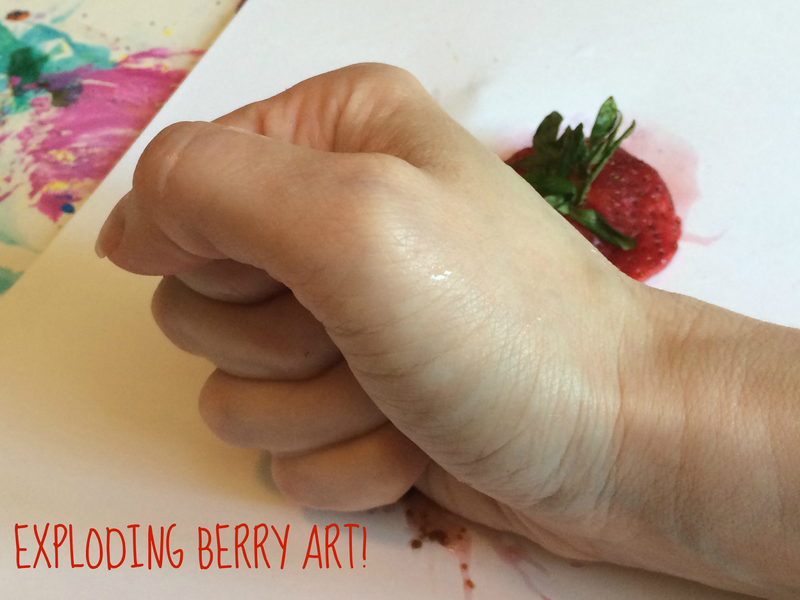 As a bonus, you (and your child) can certainly get some aggression out while exploding the berries onto paper. · Red berries – I used strawberry tops, but you could also use raspberries. 1. Pick and prep your work area. These are bright berries that are exploding – so, don’t have your child do this project over your white area rug or next to your white walls. I used I piece of thick foam core board underneath the paper to protect the table, but you could also use a garbage bag or inexpensive vinyl table cloth. The berry juice may travel through the air, so you’ll need to protect the area from right under your child’s paper to a few feet away on all sides. 2. Set a berry, or two, onto the center of the white paper. 3. Pound the berries. Have your child make a fist. She can then squish the berries and make her own Fourth of July firework art. What a great (& easy!) idea! I'll have to try this with my kids!! Thanks! 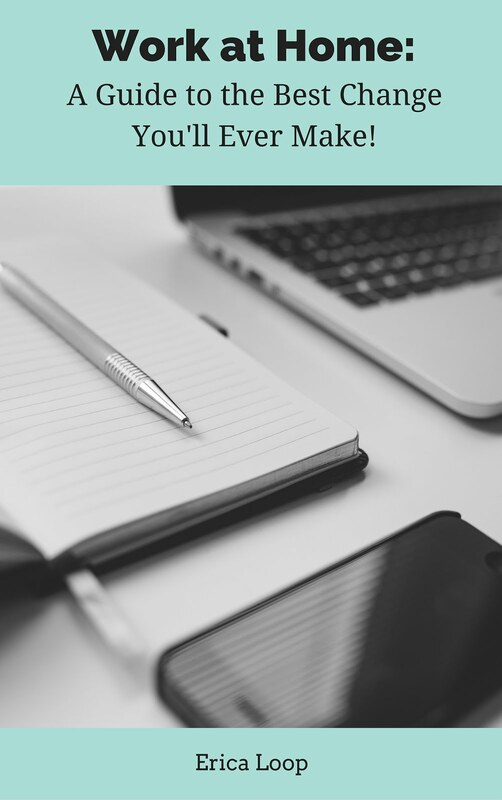 It is super easy, and the kids will have so much fun! What kid doesn't like playing with their food :-) Thanks for sharing this on Merry Monday. Although scientists will not confirm or deny these apparent benefits, anecdotal information can only suggest that there are many benefits to be had from taking acai berry in any one of the several forms that it is now available in.